This Item Ships USPS Only - and Yes, We Ship to P.O. Boxes Too! 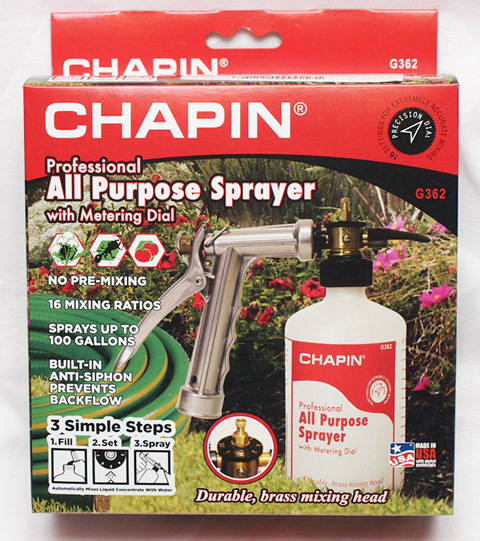 Chapin Professional Hose End Sprayer is perfect for spraying large areas with ease. This sprayer is a great companion to AgriGro's biostimulants and liquid calcium. With the Chapin sprayer all the premixing hassles are taken out. 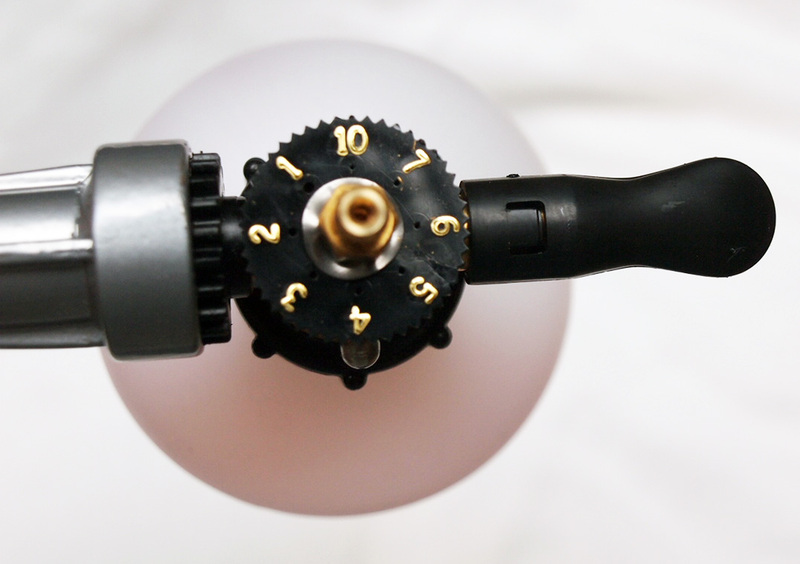 Easy to Use: Simply pour your product directly into the Chapin sprayer bottle, set the metering dial to the correct number, and start spraying. This is the great part: The sprayer canister does not fill with water. Instead, the sprayer siphons the product and injects it directly into the water stream. Any unused product can be poured back into the bottle to be used another day. The Chapin sprayer comes with a special nozzle equipped with a anti-siphon device to prevent back-flow of chemicals into your hose. The dial on top is numbered from 1 - 7 and 10. The numbers represent tablespoons. Set the dial in a specific number and the sprayer will siphon that many tablespoons from the canister for every gallon of water sprayed. Great for lawns, shrubs, fruit trees, vegetable and flower gardens, and more. Connects directly to your garden hose. No premixing of chemicals. Liquid chemicals are poured directly into the sprayer bottle and any unused portion can be poured back into the product container. Meters product in tablespoons from 1 to 7 and 10 tablespoons per gallon. (2 Tablespoons = One Ounce). 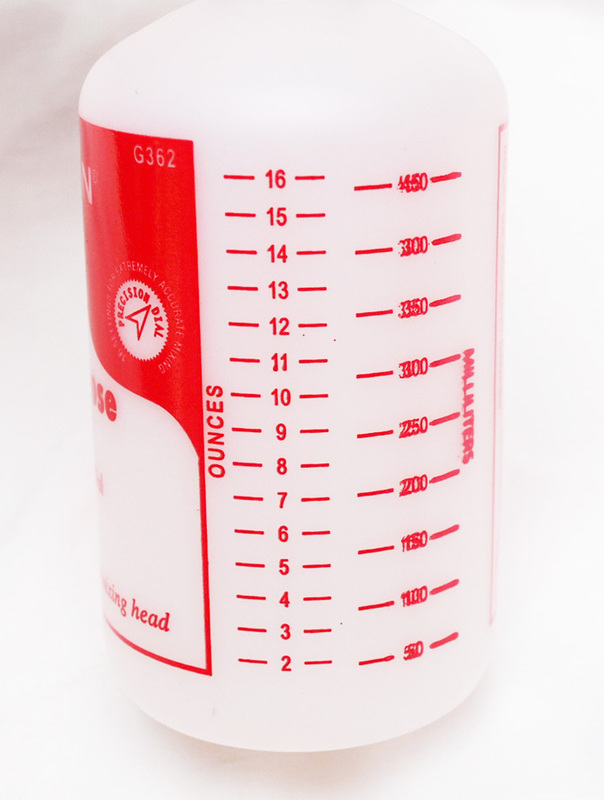 Note, since the sprayer jumps from 7 to 10, if you require 8 tablespoons (4 oz.) then spraying on 7 will suffice. Automatically injects liquid concentrate into water stream. Stream deflector can be turned at any angle to change the direction of the stream. Turn 180 degrees to spray upwards into tree foliage and back 180 degrees for spraying towards the ground. Sprayer can spray soluble powders, but powder must be pre-mixed and dissolved before pouring into sprayer bottle. Any solid residue undissolved can clog nozzle. Try to mix only what you need since you have no product container to pour unused material back into. 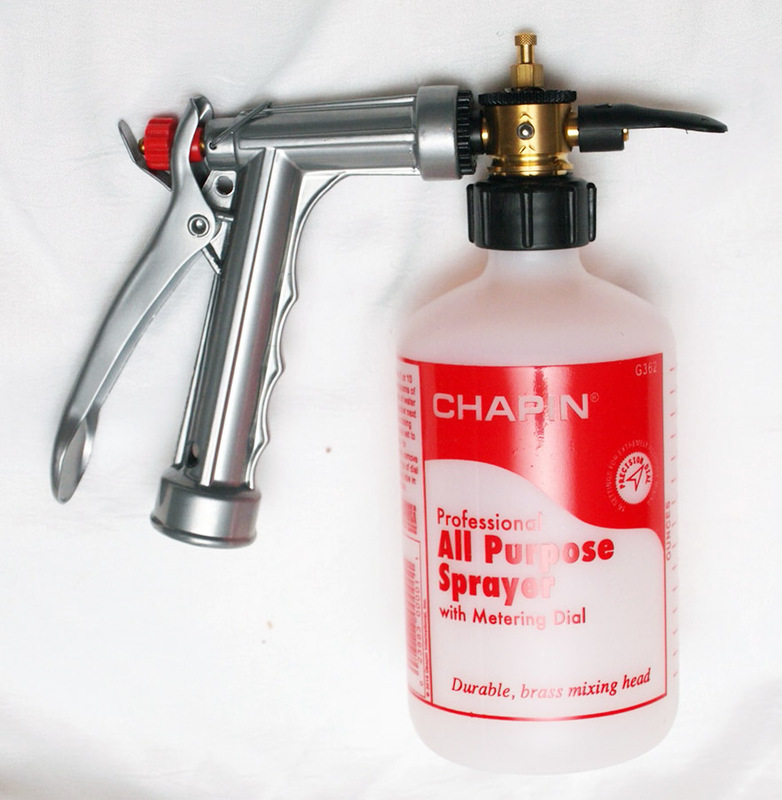 Chapin Hose End Sprayer comes with a lifetime replacement policy through the Chapin Company. Contact Chapin directly for replacement or if you need replacement parts. Information is supplied with the sprayer. Always clean the sprayer thoroughly after use. Pour unused material back into container, add clean water to the canister. Then set dial to 10 and spray for several minutes to wash out any left over material. 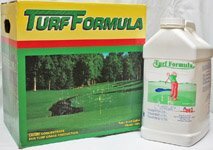 When using insecticides, fungicides, fertilizers, etc. follow product label instructions precisely. A funnel is useful to prevent spilling when pouring into the sprayer bottle. Do not spray on windy days, especially when using hazardous chemicals. Wear all the personal protective equipment (PPE) listed on product label when spraying chemicals. Do not replace sprayer nozzle. The Chapin nozzle has an anti-siphon device so chemical cannot backflow into your water hose. It is important to clean the sprayer thoroughly after each use. Failure to clean the sprayer may result in gummed up parts that may prevent the sprayer from working properly. Pour any unused chemical back into product container. Wash outside of the bottle with water. 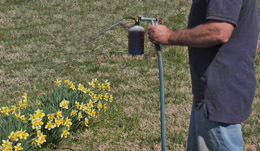 Fill empty bottle with water, set the sprayer to "10" and spray for several minutes or until sprayer is empty.